I hope they can increase the character limit per name from 5 to 6 at least as well. Canada doesn't even have MT4... And here we get news of MT5 coming out. I want to live in Asia or Aussie and play some MT4, while studying or working there for a short while.. I'm almost giving up hope in this game...its been so long since I was serious that I feel I've been in retirement for almost 2 years since the release of WMMT4. Having closer inspection on the image you zoomed in, it definitely proves all your points (if not all, most of them). I did my research and it actually leads to the Shibuya and Shinjyuku district. The Fukutoshin Line is the deepest metro line in Tokyo, with an average depth of 27 meters. At Shinjuku-sanchōme Station, the line passes under the Marunouchi and above the Shinjuku lines at a depth of 15 meters, with a gap of only 11 centimeters to the Shinjuku Line tunnel. The deepest section is at the immediately adjacent Higashi-Shinjuku Station, where the line goes down to 35 meters, partly due to an underground space reservation for a possible future extension of the Jōetsu Shinkansen to Shinjuku. The Fukutoshin line in general is simply the metro rail / train line which was known for its depth around Tokyo and is known about it. Now, for Expressway purposes, the one expressway adjacent to this is the Shinjyuku line. If coming from the C1 inner loop, the entrance to that is the right side of the fork junction at Kasumigaseki tunnel (just after the hard right past the cherry blossoms at C1 inner). The exit from Shinjyuku back to C1 is also located at Kasumigaseki. 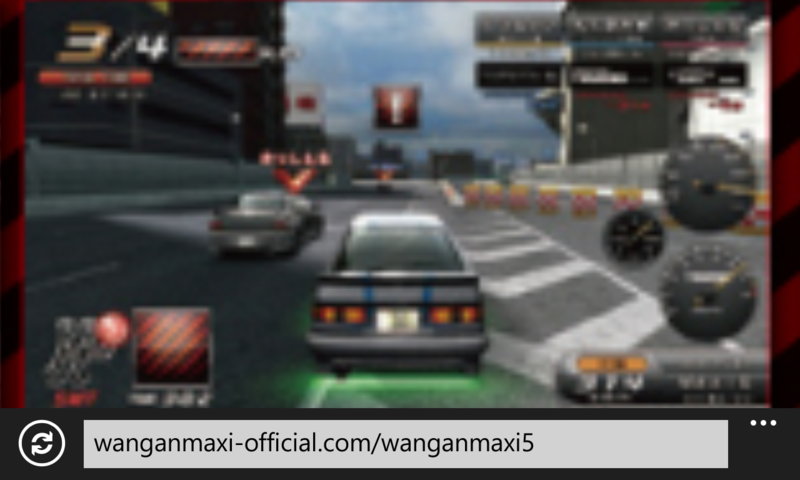 In games, This route was featured in Import Tuner Challenge / Shutoku battle X for the X360; Genki's prototype upgraded physics engine which was also used in Wangan Midnight PS3 (excluding the existence of the Shinjyuku line). So for those who played ITC, you guys have the upperhand as you know what comprises the Shinjyuku/Fukutoshin area. Expect a hard 180 degree U-turn at the end that'll lead you back to C1. OR after exiting the hard left at C1 outer in the mid point of the tunnels - in the OCM, it's where the Pajero's strategically placed. The upramp on the left leads directly to Shinjyuku. Based on when I watched the gameplays of ITC on youtube; Shinjyuku will be similar to Yokohane in terms of width or maybe much narrower - down to exactly 2 car widths / 2 lanes, there MAYBE tollgates at the end. and there's a turnabout at the City which directly brings you back through the opposite lane of Shinjyuku leading you to the C1 loop. I wonder if they'll put more old cars in this. Another DU idea: Works Competition Sticker? A Calsonic Skyline R32 or a Silhouette formula R30? Yes plox (w00t). A Renown themed FD / FC / RX8 would be good too. Extreme Battle like that (w/o maps) makes it feel like Liveroutes racing of GRID 2. Yea, so mostly like the MT4 machines will remain the same. Hopefully they will add more tracks to extreme battle. If it's only Osaka it will be quite boring.